Ultrasound test. Pregnancy. 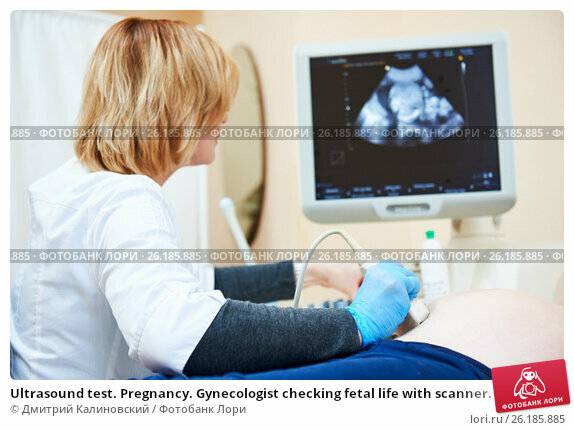 Gynecologist checking fetal life with scanner. Дата съёмки 24 января 2017 г.
Ultrasound test. Pregnancy. Female gynecologist doctor checking patient's fetal life signs with scanner.